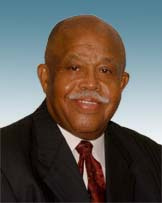 Morgan Jones Funeral Home is extremely fortunate to have burial insurance presented by one of the nations leading insurance consultants, Walter L. Jones. He has over thirty years of experience in the insurance field and has consistently been a top performer in sales and client service. Walter L. Jones can provide your family with an insurance Program that fits your specific needs. Families can have peace of mind knowing that policies written by Walter Jones will pay for your service in a timely fashion. For all of your insurance needs, simply pick up the telephone and call Walter L. Jones at 916-452-4444.